You could spend an entire week in Seville, Spain just touring the historical sights. There’s the Catedral de Sevilla, Giralda Tower, and even Christopher Columbus’ tomb. But sometimes looking at old buildings isn’t how you want to spend your vacation. 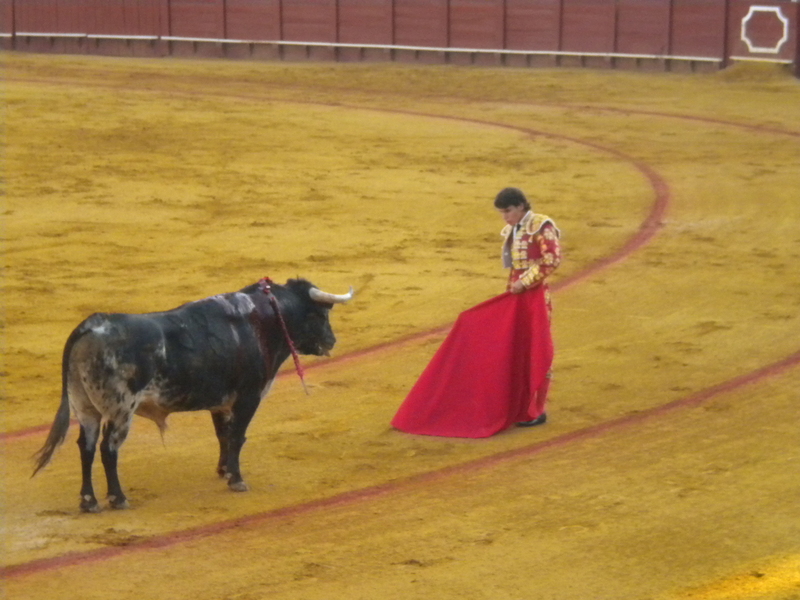 To add a bit of excitement to your trip, try checking out a bullfight. Seville is said to be one of the “homes of bullfighting” and the locals are passionate about it to say the least. The season traditionally runs from April to late September, although there are not always fights in July and August. So if you decide to head to The Plaza de Toros de la Maestranza, the bullring in Seville, what can you expect? How about a lot of bood and confusion. The bullfight that I saw had three matadors and each one killed two bulls; one for practice and one for the competition. Each bull is stabbed multiple times and dies what I considered a brutal death. (Don’t be surprised if you find yourself cheering whenever the bull gets a piece of the matador). Bullfights may be hard to sit through if you don’t have a tough stomach, but the experience will be unlike anything you have ever seen before. Everyone should check out this historic event atleast once in their life. ← Sick of the snow? Why not head to the desert?